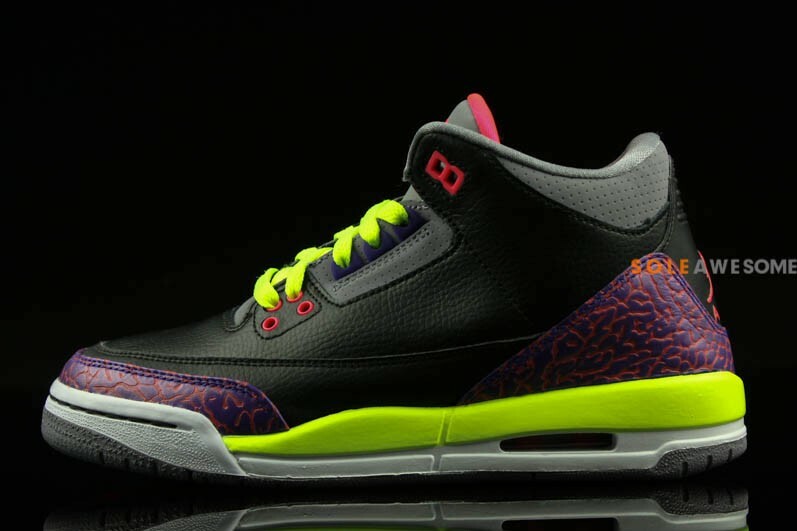 Another energetic color combination comes together over this latest grade school exclusive Air Jordan 3 Retro. 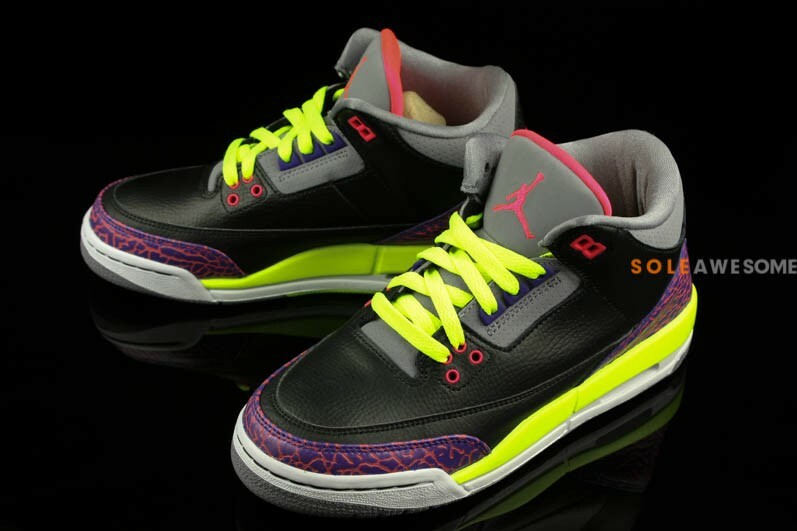 The new look Air Jordan 3 Retro for the kids features a classic full leather build in black and cement grey, with vibrant tones accenting throughout. 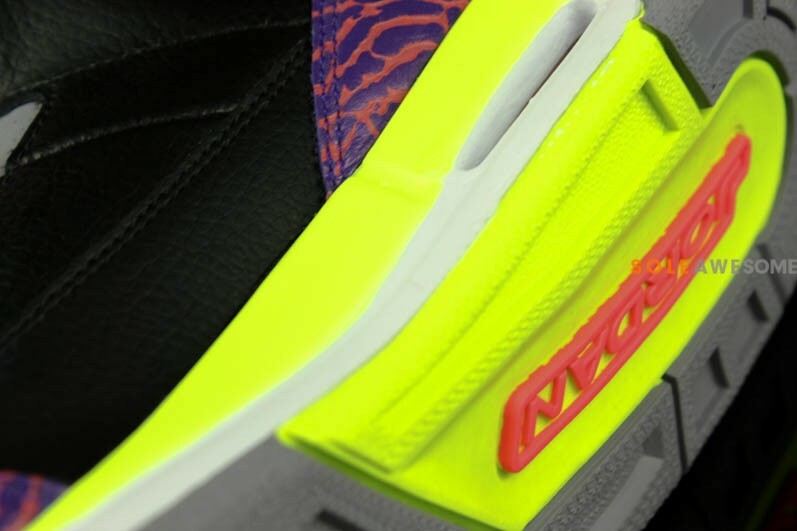 We see volt handling the laces and midsole, while purple handles the elephant print along the toe and heel area. 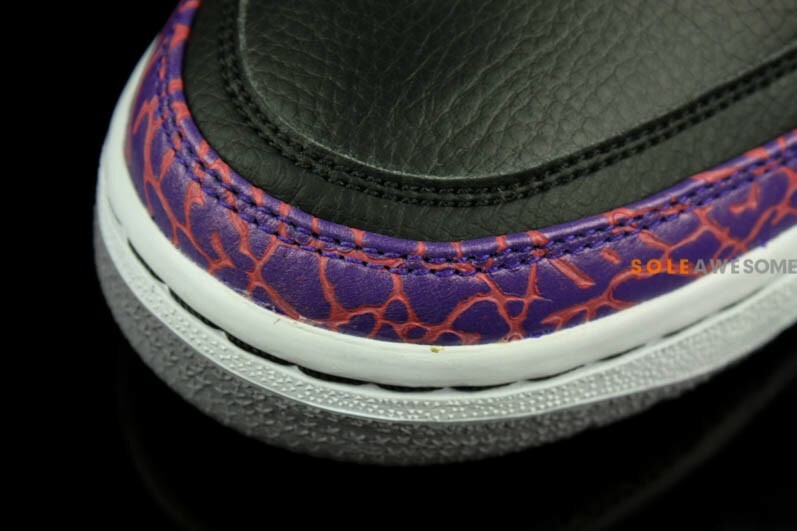 Finishing them off we see pink over the tongue Jumpman, tongue lining and eyelets. 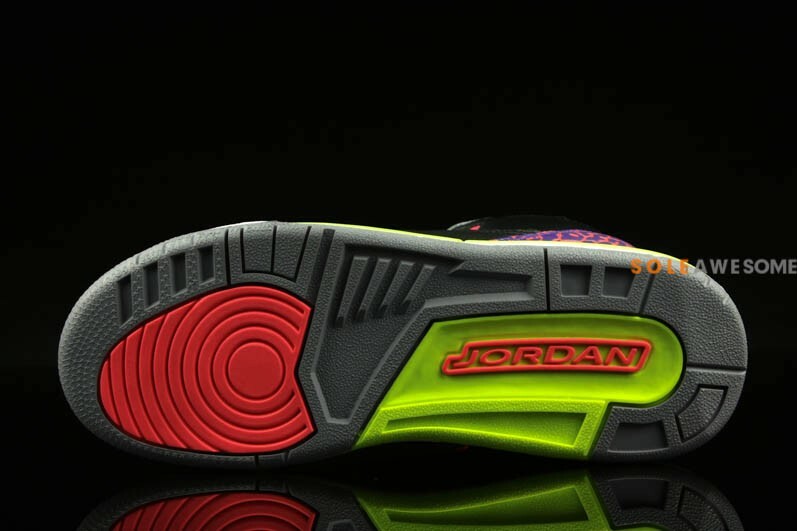 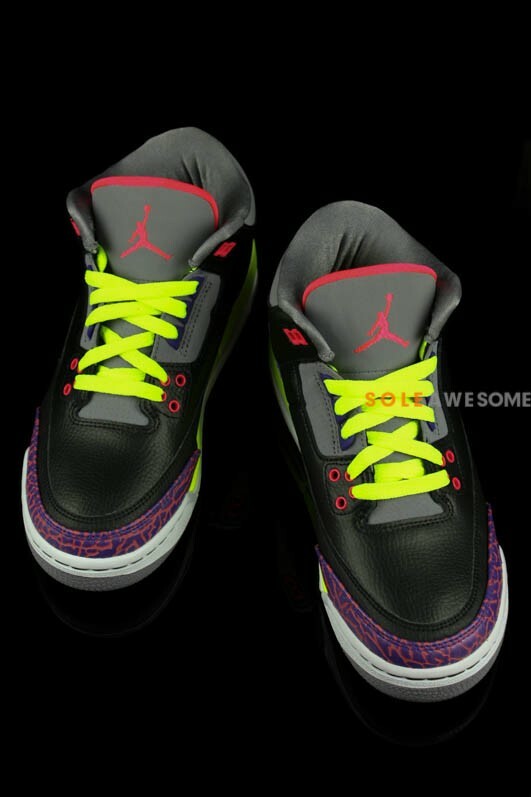 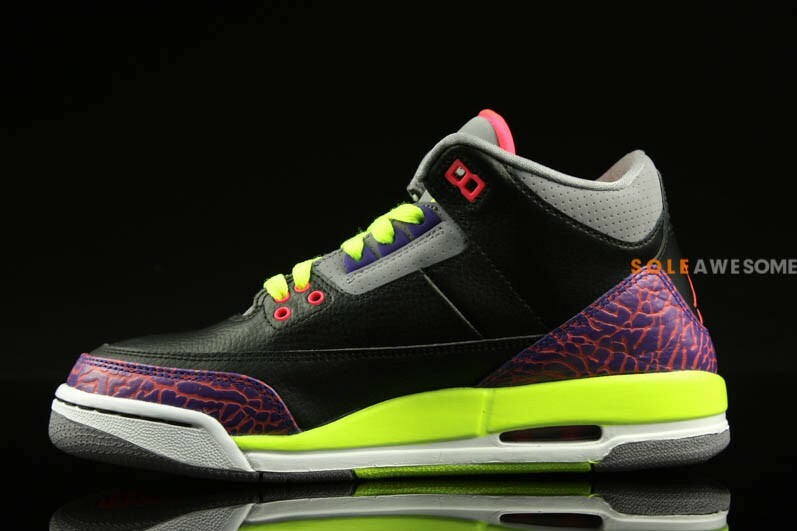 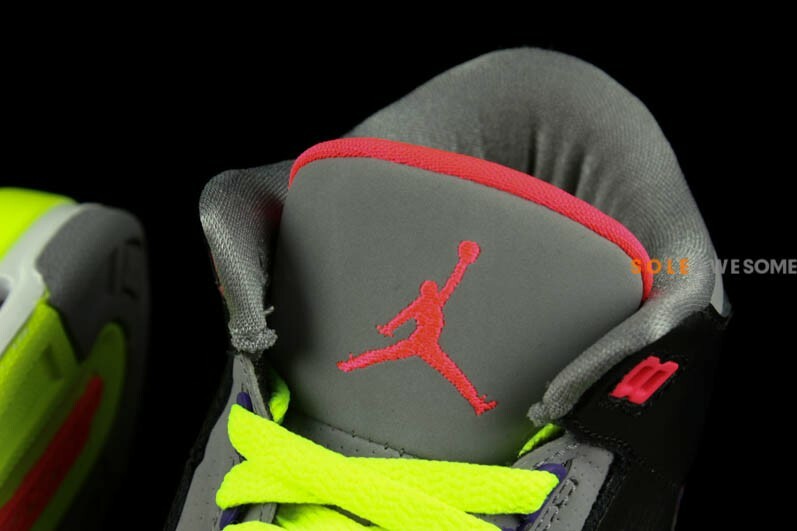 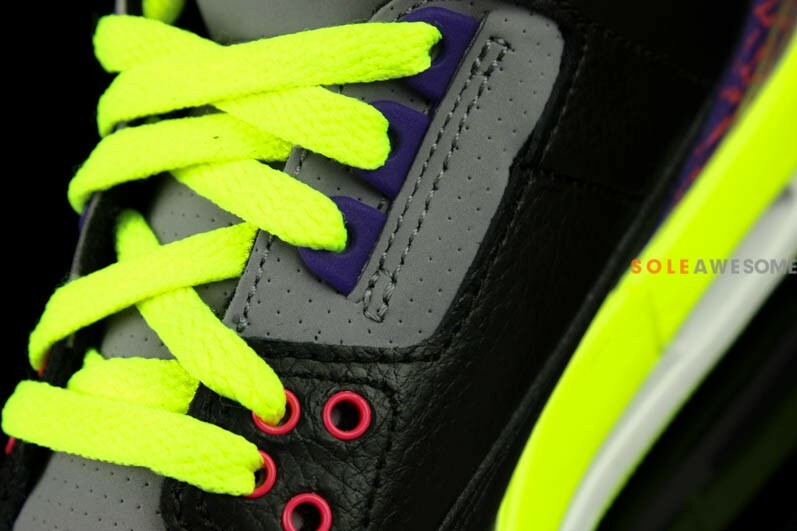 Stay tuned to Sole Collector for further details on the Black/Purple-Volt Air Jordan 3 Retro GS.